When lamb appears on a menu, it’s understandable that red wine pops into the mind. However, considering the artichokes in this dish, the pairing is not so simple. Whereas lamb is synonymous with red wine, artichokes match best with acidic white wines. The best middle ground for the two major elements of this dish is a wine with a higher pitch of acidity and no more than a medium body. There’s a tricky – and fabulous thing – where wines of both colors can hover in the minerally, smoky element. 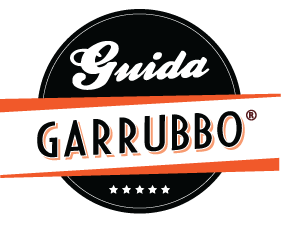 This works particularly well with the wines of Mount Etna, which carry the savory, smoky tones of its volcanic soil in all of its wines. There is also a salty tone to the wines that works wonders with this dish, too. Carricante is the signature white grape of Etna. Its riper, more open-textured wines can be lovely, smoky accompaniments to this dish. One of the tricks of appreciating a white wine with red meats is finding one with very concentrated character that is not just fruit-driven. Also, don’t serve it too cold as chill subdues flavors! The warmer the wine is, the broader its palate will feel to match to the red meat, yet it will retain its innate acidity to elbow through the artichokes. 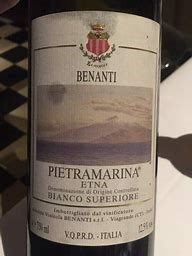 My favorites are Benanti Pieteramarina Bianco and Tenuta delle Terre Nere Etna Bianco Caldara Sottana. Etna’s reds show a similarly smoky and savory profile that are scintillating with red meat. Their minerally notes show well with the cooked artichokes, too. Etna’s top red grape varieties are Nerello Mascalese and Nerello Cappuccio. Each have enough tannic oomph to make artichokes taste a bit metallic, but as lamb is the focus of the dish and the artichokes are but an accompaniment, these red wine pairings will work out sublimely. With haste, check out Graci Etna Rosso and the Cottanera Etna Rosso.